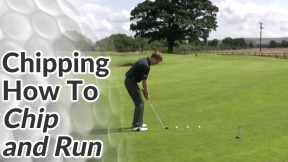 Here’s how to play a chip and run golf shot. The chip and run is a very useful shot when you don’t have any hazards between you and the pin and when the fairway is quite flat and closely mown. It’s also what I would call a percentage shot. You’ll see in the video that a poorly struck chip and run shot often elicits a similar result to a well struck chip and run shot. 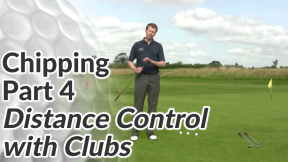 A badly hit lob wedge on the other hand can be disastrous. 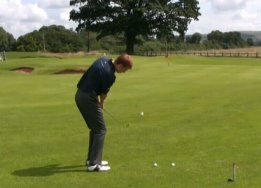 A chip with a lofted club requires a much longer backswing because a lot of the energy is used in giving the ball height. 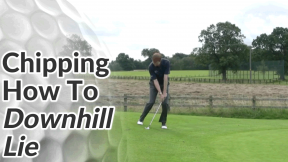 The longer the backswing, the more potential there is for a mis-hit and those mis-hits tend to travel a lot further! 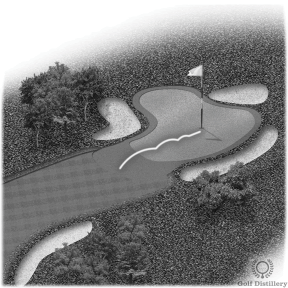 A chip with a lower lofted club like a 7 or 8 iron requires a much shorter backswing because all the energy is transferred into forward momentum. A shorter backswing makes it easier to get a perfect strike on the ball and the results of a thin contact won’t be too dissimilar. 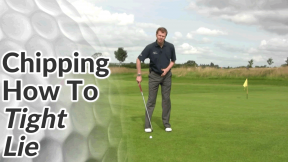 Use a normal chipping set up and action for the chip and run.